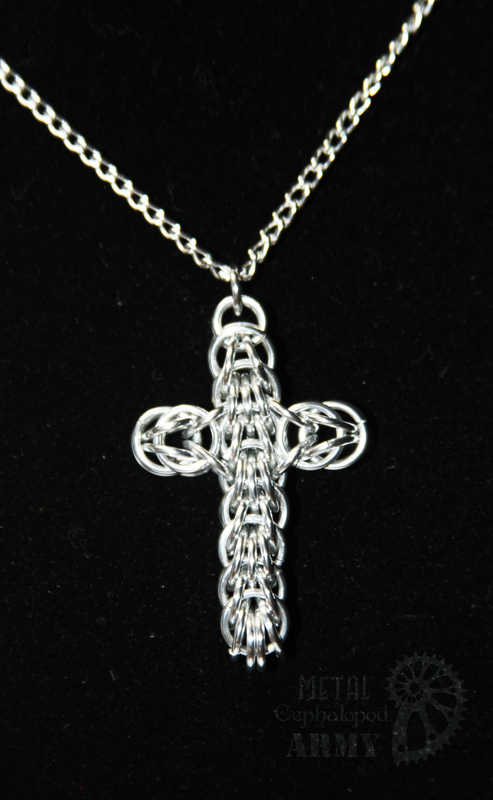 Our latest pendant design! 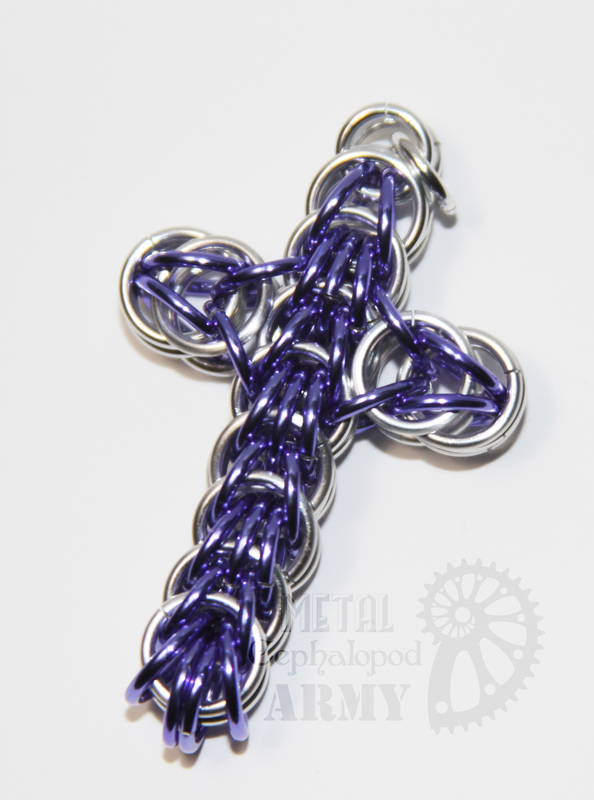 These crosses are made of many interwoven rings and are fairly solid. They hold their shape beautifully. 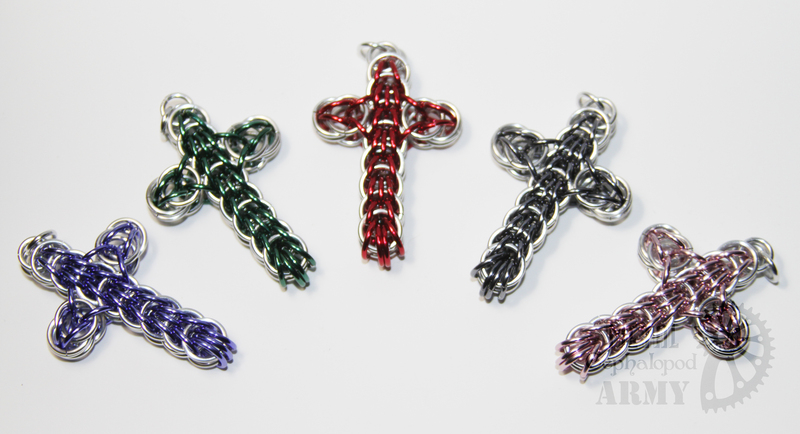 These are currently offered with your choice of internal color bordered in silver. They measure at just shy of 2 inches tall, and 1 and 1/4 inches wide. 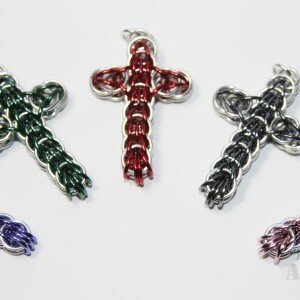 They come with a 18 inch silver colored chain. Available in all Gloss colors. 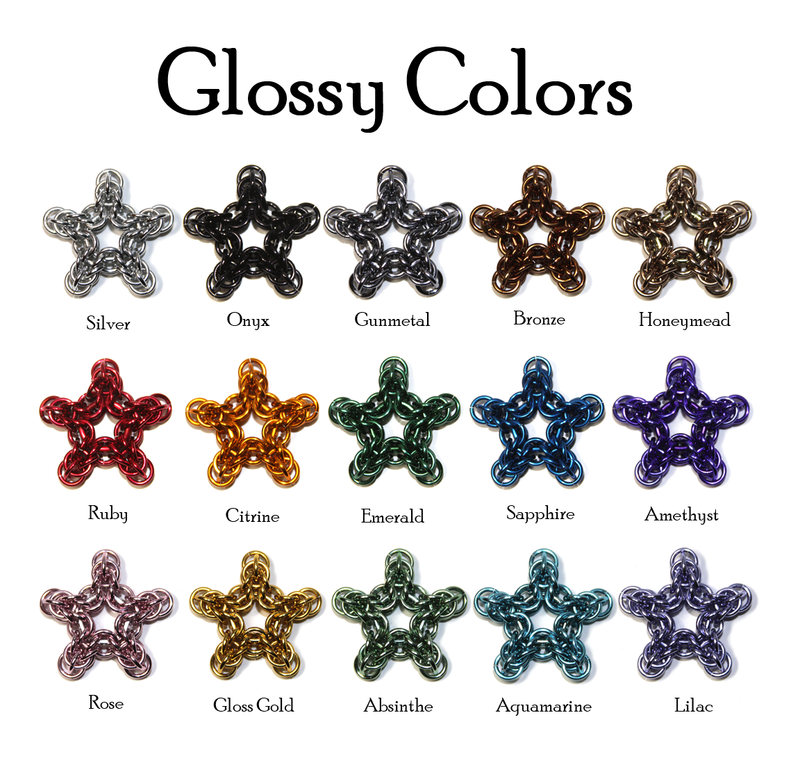 If you are interested in custom colors please contact us!